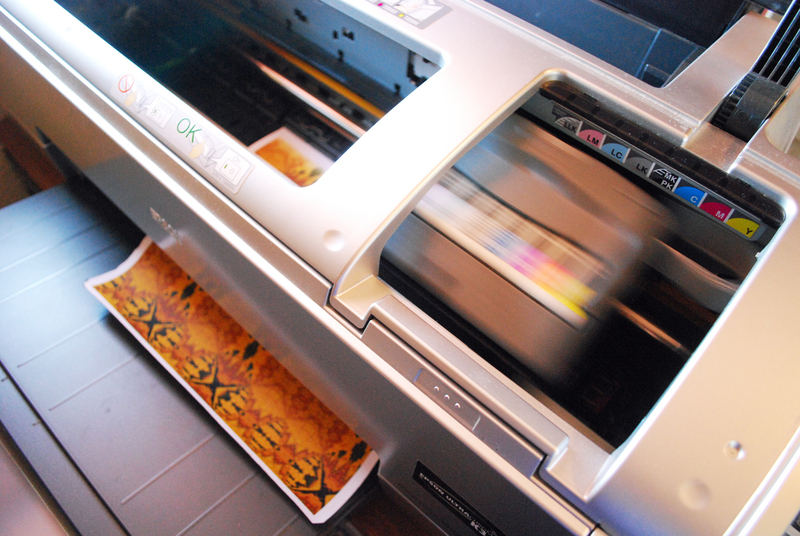 Learn how to print your own photographs, art and designs on fabric with an inkjet printer! Printing your own fabric has so many applications — youll be able to make truly unique garments, personalized gifts, art quilts and hanging, mixed media artworks, and so much more…. 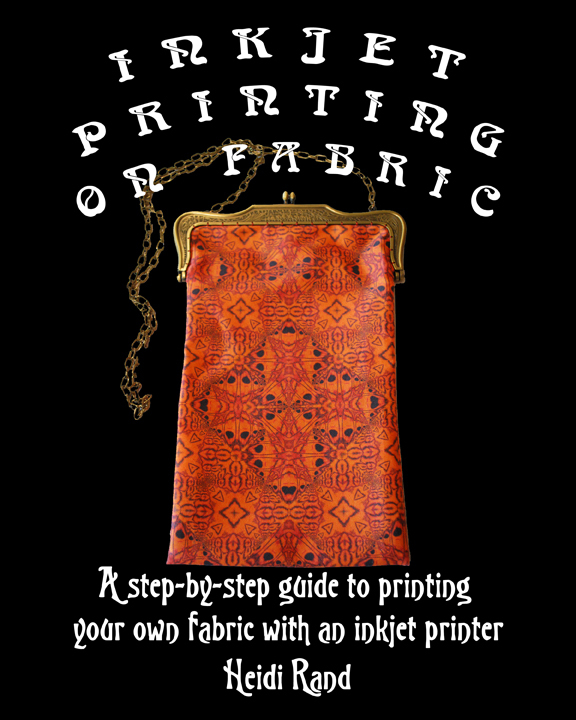 My ebook takes you through the entire process to begin printing fabric on your inkjet printer. I teach you about the difference between dye and pigment inks and help you decide whether you want to treat fabric yourself or print on pre-treated fabric. Then I discuss exactly how to get your fabric ready to print, move on to the printing process, and finally discuss post-printing treatments. Printing on fabric is not difficult, but the information I will give you, which I’ve learned from years of printing on fabric, will save you much time and wasted ink and fabric. My ebook has many illustrations, questions and answers, and trouble-shooting tips. I also include a gallery of my original fabric creations to spark your imagination and creativity. 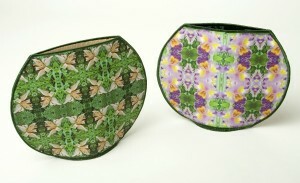 Why my book, when there are many books on the market and articles on the internet about printing on fabric? Because the technology is moving so quickly, a lot of them are outdated. 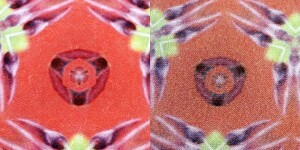 My guide is up to date, and I revise it often to reflect changes in the field of inkjet fabric printing. Also, most other books give general information that might not apply to your personal printer/ink setup. I tell you how to figure out what kind of inks your printer uses, and I can also answer by email personalized questions about your setup, or other problems you run in to when you print fabric. 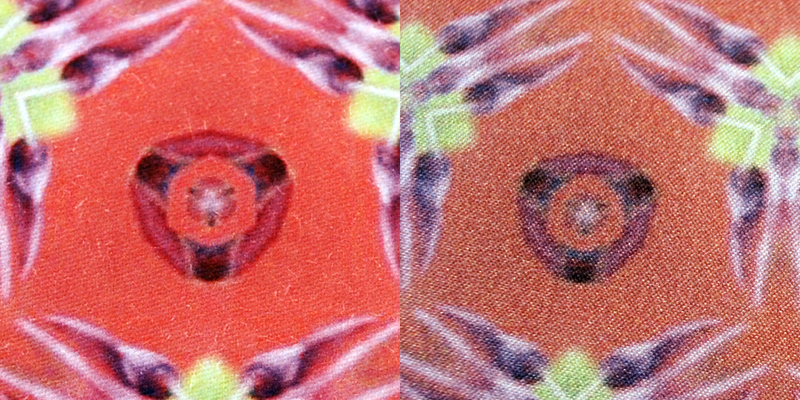 I also discuss the pretreated fabrics that are available commercially, and share the results of my extensive experimentation with printing using the different inks. This guide is in the format of a PDF file, which you can open and print using Adobe Reader. If you don’t yet have Adobe Reader, you can download it at no expense by clicking on this link. If you are unable to open the PDF I can email it to you so you can open the document using Microsoft Word. It will come from my email address: heidirand@gmail.com, so if you have a spam filter, please make sure you’re allowing email from that address. The file is less than 20 MB, which will be delivered to a gmail account, but may be too large for other email accounts. If you don’t have a gmail address, I will send you two or three pdfs in separate emails. Skill level: If you know how to print on paper with your inkjet printer, you will be able to print on fabric. Materials required: inkjet printer, ink, fabric. Purchase the ebook for $10.00 as a pdf download by clicking the “Add to cart” button.